Does not remember some key details (like a certain recall of the year or address). Naturally, Brett Kavanaugh denied assaulting Blasey Ford or even attending a party with her. Patrick Smyth denies witnessing that high-school party. Mark Judge denies the alleged assault occurred and has claimed such an act would be contrary to Kavanaugh’s character. As of 22 September 2018, Leland Ingham Keyser became the fourth of the Blasey Ford’s named witnesses to deny being at the party. Ms. Blasey Ford scrubbed all material from her social media accounts. However, reports of Professor Blasey Ford participating in at least one anti-Trump march appeared in the media. Democrats scrubbed the Holton-Arms yearbook (as well as they could) for the years Blasey Ford partook in the parties. How Blasey Ford initially sent the accusatory letter to Rep. Anna G. Eshoo rather than Sen. Diane Feinstein. Sen. Feinstein kept the letter secret from July until what should have been the closing days of the confirmation. A recording shows one of the legal advisors to Blasey Ford plotting strategy to defeat Brett Kavanaugh in July (refer to the clip in the tweet below). How there are plans to have Kavanaugh impeached if their plans to block his nomination fail. Blasey Ford may not be able to come to the hearings because she fears flying (even though she has been to Hawaii). The sacrificing of “innocent until proven guilty” by Hawaiian Senator Hirono is not big deal. That accusers should not be put under oath. That Kavanaugh doesn’t have the right to know what he is accused of before he has to defend himself. Before going public, Ford tried locating old friends who would corroborate her story, but couldn’t. The New York Times reported that Ford texted a college friend, Catherine Piwowarski, asking if she had ever confided to her that she was sexually assaulted. Piwowarski was unable to recount such a conversation. Ultimately Ford was unable to produce any previous acquaintances who could attest to her previously sharing this accusation. Ford’s attorney initially said she wanted to participate in “any proceedings she’s asked to participate in,” but soon began issuing extensive demands. Once the story became public, Ford’s attorney told the press that her client “will participate in any proceedings that she’s asked to participate in.” Immediately Republicans on the Senate Judiciary Committee to invited her to appear before their committee; Ford punted, and then began issuing a series of demands, which together show her attorney’s original statement as untrue. In her second appearance in the Washington Post, she told the paper that after Trump’s 2016 victory, she became upset at the prospect of Kavanaugh becoming a possible justice. However, Kavanaugh wasn’t added to Trump’s list of possible picks until 2017. Ford’s attorney, Debra Katz, is an anti-Trump activist and Democratic donor who has previously defended Democrats accused of sexual assault.During the Clinton Administration, Katz actively defended Bill Clinton against charges Paul Jones was sexually assaulted. Katz likewise defended Al Franken after he was accused of sexual assault. She’s donated more than $25,000 to Democratic candidates, and has described Trump supporters as “miscreants.” More recently she was scheduled to appear at a fundraiser for Sen. Tammy Baldwin (who is one of the senators proclaiming their belief in Ford’s story), but which was canceled after receiving media attention. For those unwilling to click links, there is the Paul Joseph Watson video that follows. It includes all of the information above (along with some information on the accusations by Ms. Swetnick. The Hill reports in an 18 September 2018 article, a purported victim of physical and psychological abuse complains of poor treatment by her own political party. 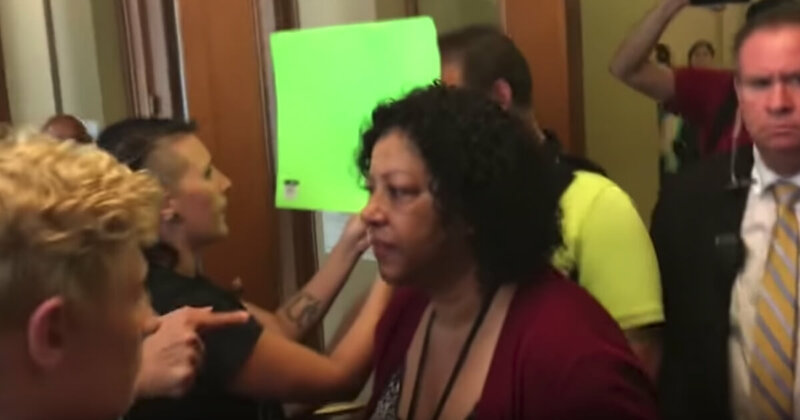 A 14 August 2018 BizPacReview article discusses the discoveries of Laura Loomer regarding Democrat Keith Ellison, candidate for Minnesota Attorney General. 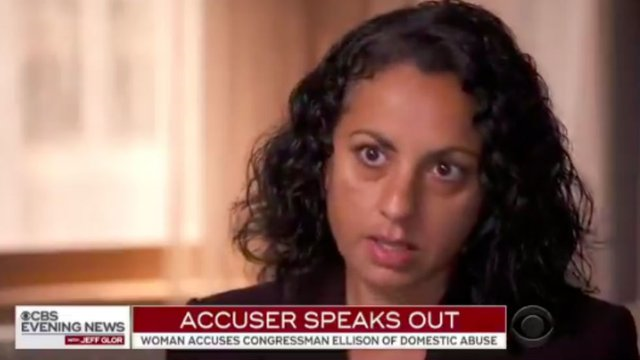 Amid the explosive allegations of domestic abuse against Rep. Keith Ellison, D-Minn., made by the son of a former girlfriend, Karen Monahan, who has since backed up the accusation, there’s a report of a second woman claiming Ellison was abusive. And there a 911 call that appears to support the second claim. 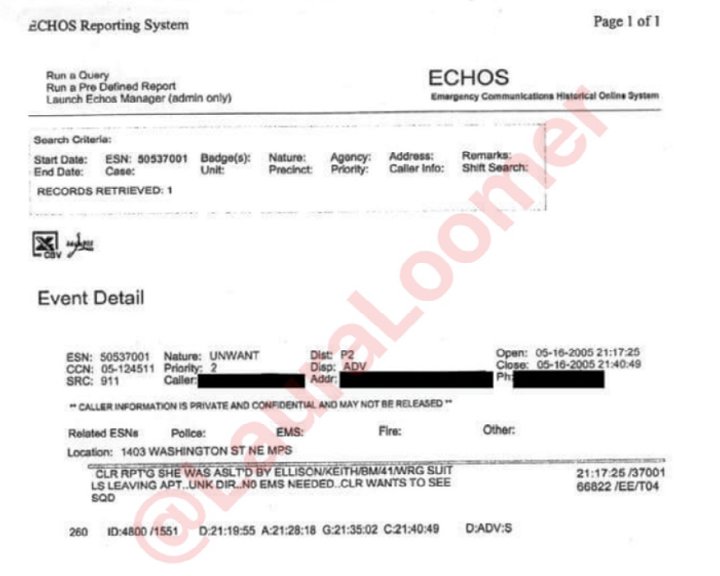 Amy Alexander claimed that Ellison had abused her during a 2005 relationship in a 2006 article published in The Wright County Republican and blogger Laura Loomer uncovered documentation of a 911 call. Berkeley professor Eric Clanton and his attack on a Trump supporter who was directed by police into an Antifa crowd including the professor/thug. Campus Reform reporter Grace Gotcha informs us in a 9 August 2018 article how a professor at Berkley may not have gotten away with murder, but it was close. A former professor and Antifa activist has avoided jail time for beating multiple Trump supporters with a metal bike lock at a 2017 free speech rally in Berkeley, California. Eric Clanton, a former philosophy professor at Diablo Valley College, began serving three years of probation Wednesday after three charges of felony assault with a deadly weapon and one felony count of inflicting great bodily injury were dismissed or stricken from the record. 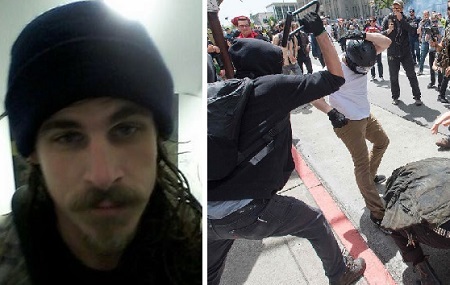 Clanton assaulted at least three Trump supporters with a metal bike lock during a pro-Trump rally in Berkeley, California, on April 15, 2017, one of whom reportedly received a head laceration that required five staples. Three of the felony charges against Clanton, for assault with a deadly weapon that is not a gun, were dismissed, as was a misdemeanor charge of wearing a mask to evade detection while committing a crime. The fourth felony charge, for causing serious bodily injury, was stricken from the record. Clanton was convicted of simple battery, a misdemeanor, after pleading “no contest,” for which he will now serve three years of probation that are scheduled to conclude in Aug 2021, according to online documents released by the court. You have to wonder if there will be any repercussions for liberals. My bet is this guy has continued employment. In fact, my bet is that none of Facebook, Twitter, or Instagram have thought of suspending his accounts. Western Journal reports in a 9 August 2018 article that two Antifa thugs have been arrested following their attack on the city hall. Breitbart points out in a 3 August 2018 article that racist Sarah Jeong repeatedly trashed the NYTwits. The New York Times went out on a limb to defend its new hire, Sarah Jeong, after the far-left writer’s long history of racist tweets drew public attention. 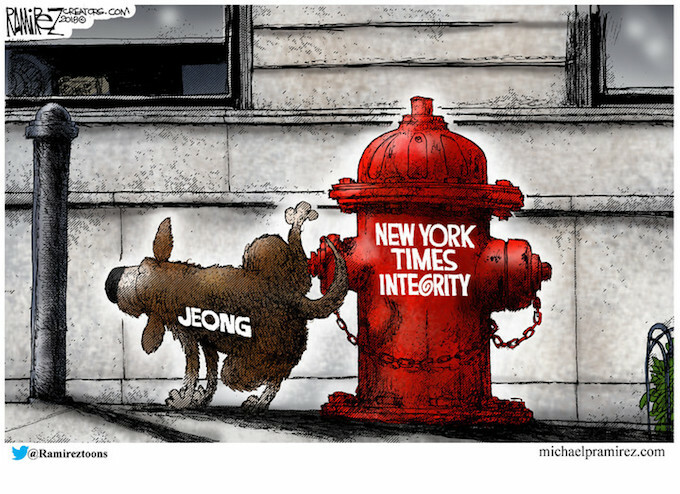 Since then, more posts have surfaced showing Jeong’s history of trashing the very newspaper that now defends her. Go to Breitbart for the full 18 tweets embedded. 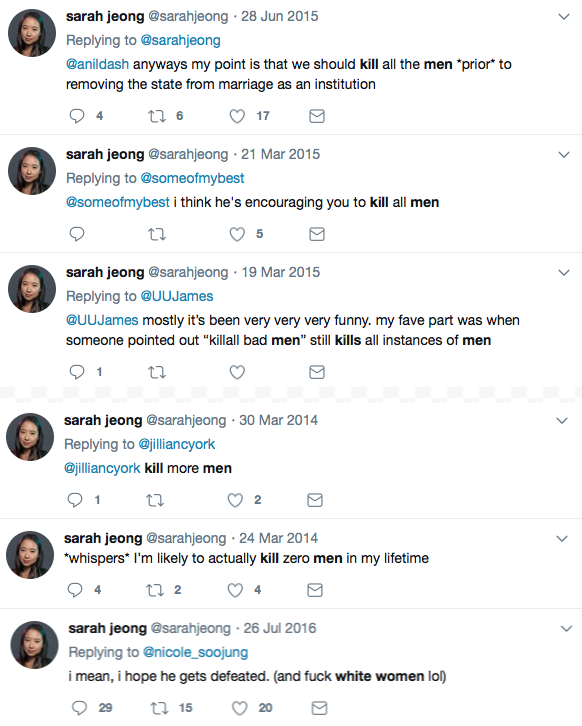 In a 3 August 2018 Daily Caller article, the Sarah Jeong anti-NYT tweets were also documented.